What is it? – Where is it? – How was it funded? 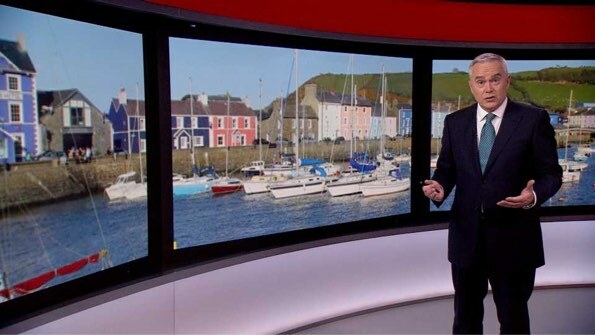 The Aberaeron Story project is designed to raise awareness of Aberaeron’s heritage in the town, making it more visible and accessible to residents and visitors alike. We’ve made a film and a game, built mosaics, printed some of our lovely photograph collection, and made our extensive local history archives accessible to all. In the Tourist Information Office, there is a craftsman built Heritage Bench, hand painted by artist Lizzie Spikes. It has two touch screens, giving access to all the materials on the Cymdeithas Aberaeron website, photos of some of the ships built in Aberaeron, a film about the history of the town commissioned from Cwmni Wes Glei, and a game for all to play based on Aberaeron’s unique town plan. 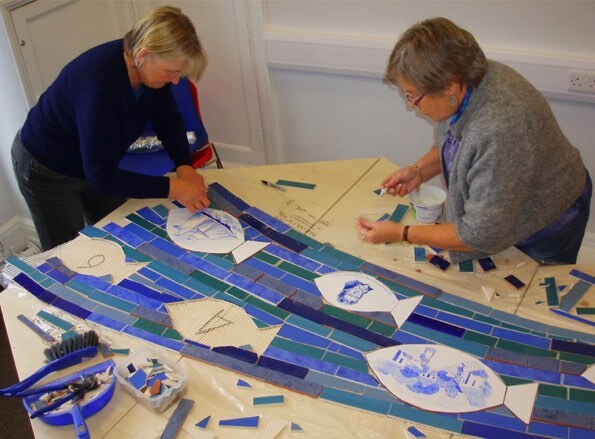 Outside we have a mosaic built by the community and designed by Pod Clare, which swims through the history of our town by the estuary of the Aeron. On the walls of the County Hall we have examples of photos from our catalogue, and displays from local photographers, Ron Davies (1921-2013) and Percy Lloyd (1886-1968). In the foyer you can see heritage exhibitions in our museum standard cabinet. In the library there is a local history corner with a dedicated screen terminal and access to the wide range of memoirs, stories and histories collected by the Society from local people. In the public shelter along the riverside, we have mosaics built by the young people and the senior citizens of the town showing the fishing and industrial heritage and the town today. The project was funded by grants of £46,400 from the Heritage Lottery Fund ‘Our Heritage’ programme, £6,000 from Ceredigion County Council’s Community Grant Scheme, a donation of £500 from Aberaeron Town Council, and a contribution of £4974 from the Society’s own funds. 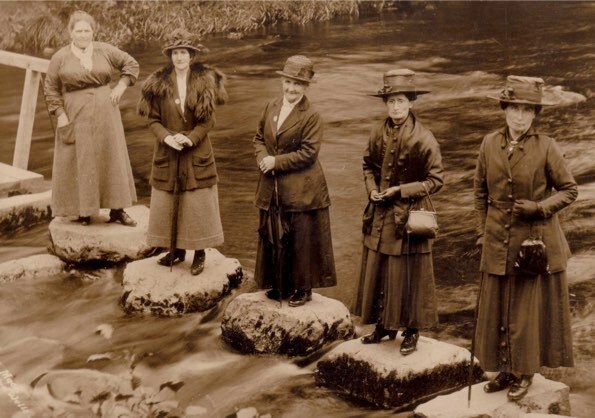 It was run by project officers Virginia Lowe and Rosemary Phillips on behalf of Cymdeithas Aberaeron Society.